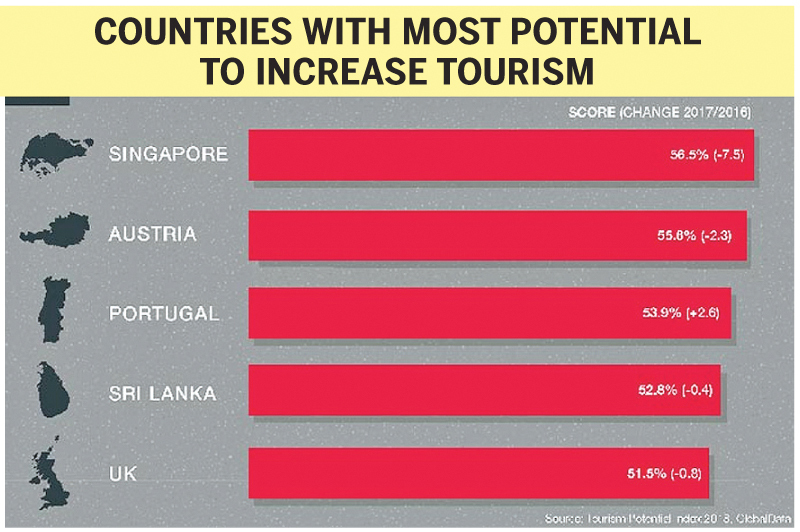 GlobalData’s Tourism Potential Index” provides a ranking of 60 major developed and emerging markets around the world to assess potential growth opportunities in the tourism sector. Sri Lanka, which came fourth on the list, has obtained a score of 52.8 while achieving a Compound Annual Growth Rate (CAGR) of 8.7%. The score of Iceland Iceland, which topped the list, stands at 39.1 with a CAGR of 11.7%. Sri Lanka is the only four-star rated country in the top 10. GlobalData says Sri Lanka “is expected to experience fast growth in the future”. GlobalData adds that Sri Lanka is “investment-friendly and has improved its road and air infrastructure significantly”.